Sideways - caught between a cop and a hard case! Derek’s got the cops in his house when he uncovers an important clue that could crack his mother’s case wide open. Seems the powers that be at Dark Sciences know about his superpowers, and they’ve got the paperwork to prove it. But then metahuman mercenary Bolt crashes the party, puts the kibosh on Derek and gets his hands on the evidence. 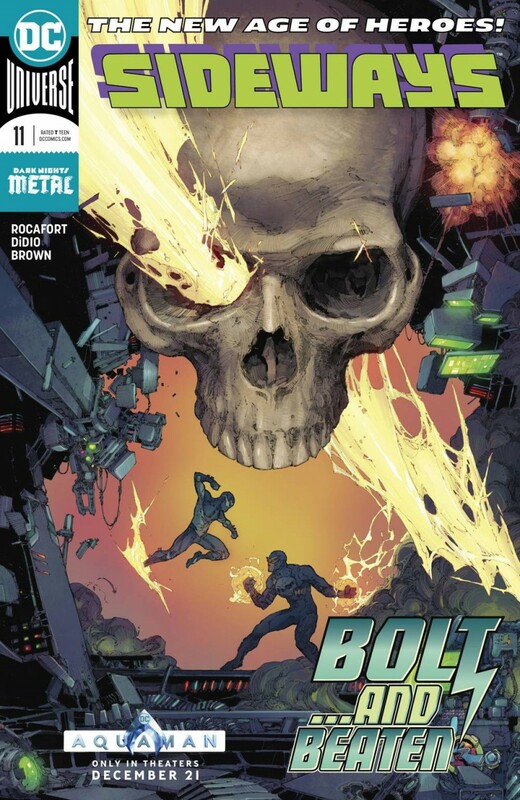 Bolt takes Derek back to Professor Portefoy, whose plan is straight out of the evil-scientist playbook: drain the Dark Matter energy from Derek to steal his rift powers!